It’s been almost four years since the first episode of the ninth and final season of How I Met Your Mother aired, and although I’ve had a substantial amount of time to accept its eye-rolling close, I still can’t comprehend why on Earth the hit series ended on such a disappointing note. While its easy-watching makes for perfect background noise, investing emotion in the show and its five main characters remains at the top of my ‘biggest mistakes I have made in my 20s’ list. If you haven’t seen the show but care to know why, or you have watched the series and are keen to learn of my thoughts, keep reading. Warning: this review contains countless spoilers and pessimistic points of view. Put simply, HIMYM is a modern-day sitcom with a similar concept to 90s-2000s television success, Friends. 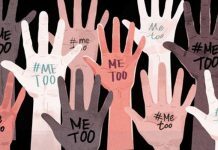 The show details a group of diverse mates living in New York City making their way through life’s ups and downs, meeting for regular catch-ups at their old faithful MacLaren’s, a bar beneath protagonist Ted Mosby’s apartment. In a bid to inform his children of how he met their mother, Ted details every encounter and experience that led him to Tracy McConnell, the title character of the CBS series. Tracy isn’t formally introduced or referred to by name until the final season, season nine – the biggest cliffhanger. Ted meets Robin at hang-out-spot MacLaren’s in season one. Barney introduces the two (“Havvvvvvve you met Ted?”) after he notices Ted drooling over her. Ted is pining for Robin’s love but soon learns she’s not interested. Robin becomes a part of the gang and her and Ted begin dating towards the end of the inaugural season. The relationship lasts for a year before they both realise they want very different things out of life. Robin is career driven and self-sufficient while Ted is looking to settle down, get married and start a family. It’s evident that Ted still loves Robin despite his numerous attempts at relationships with other women. 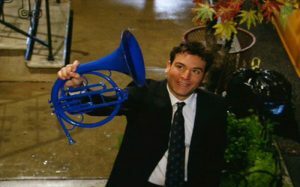 The blue French horn from the restaurant where they had their first date at becomes a recurring motif symbolising Ted and Robin’s relationship. Later down the line, it’s revealed that Barney – one of Ted’s best friends – has feelings for Robin. Ted, ever the good guy, concludes Barney must really care for her if he’s willing to bow out of his womanising antics. Robin and Barney, with their similar characteristics and ambitions, date on-and-off throughout the series. Ted, Marshall and Lily all attended the same college, Wesleyan University. Marshall and Lily are college sweethearts and have only ever slept with each other. The couple encounter some bumps along the road, but their relationship proves resilient in withstanding crisis, an inspiration to Ted and the group. 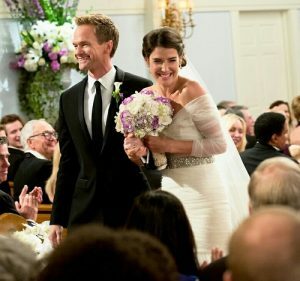 Almost the entirety of season nine is dedicated to documenting the weekend of Robin and Barney’s long-awaited wedding in the make-believe town of Farhampton, and loyal fans of the on-again off-again couple have to wait a gruelling, albeit ultimately rewarding 22 episodes for their union to take place on screen. And how are fans of the show repaid after enduring this agonising wait? By ending Robin and Barney’s three-year marriage 20 minutes into the final episode. Yes, that’s right … an entire season devoted to logging a wedding that was only going to end in divorce. That’s not to mention the fact that everybody’s favourite character, Marshall, is hardly seen with the gang for most of the season. Apparently this was because Jason Segel, the actor who was being paid $1 million an episode to play Marshall, wanted less screen time after having been a main character for nine years … fair enough I suppose. 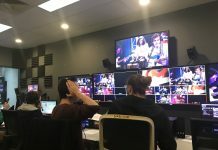 While Marshall’s absence isn’t the worst thing about the series’ finale, it certainly wasn’t a commendable creative choice by writers Carter Bays and Craig Thomas. It’s obvious that the two were running out of comedic ideas, but the absolute worst thing about the series’ end is how sad Ted’s love story becomes. What’s made clear from the onset of the season is Ted’s affection for Robin which is primarily explored in Ted’s quest to secure Robin’s locket in S9E22 – The End of the Aisle, the second last episode of the show. Robin buried it by the carousel in 1994 to use later in life as her something old on her wedding day. She wanted her soon-to-be husband, Barney, to “pull through” for her and find it after she scoured the park and couldn’t herself. Ted, aware of how sentimental the locket is to Robin, searches high and low to locate it. After failing to find it, Ted turns to Lily to ponder on its placement. 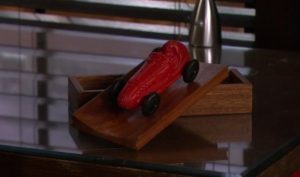 She alerts him that it might be in his race car pencil box on his desk. After having to contact his ex-fiancé and two ex-girlfriends, Ted “pulls through” for Robin but asks Barney to take the credit. Robin, in knowing the defining difference between Ted and Barney, their ability to be honest, figures out it is indeed Ted who found the locket. The best part about this scene is Ted’s dialogue. A revolutionary moment for the man who has been hung up on the wrong girl for the better part of nine years finally admits he’s moved on. It’s here where I feel an overwhelming sense of relief, a relief that perhaps the writers have officially indicated to the HIMYM audience that the Ted and Robin love story will never eventuate into what he hoped all those years ago. It’s also here where I truly appreciate Ted’s character – an honest man who’s been to hell and back to find “the one”, does, and does so deservingly. 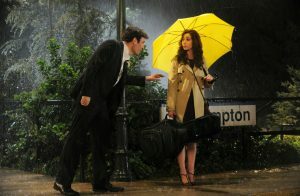 The yellow umbrella belongs to Tracy, but it falls into Ted’s possession after she leaves it at a nightclub. Having had it for a while, Ted leaves the umbrella at Cindy’s apartment where Tracy also lives. It has ‘TM’ engraved on its handle, which stands for Tracy McConnell or perhaps, Ted Mosby. But once again, I’m let down by the missed opportunity to get to know Tracy. 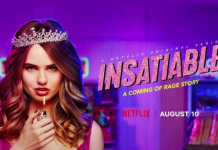 An interesting and bright character who mirrors Ted’s personality traits, not only gets killed off (much to many fans predictions), but hardly gets to voice her’s and Ted’s connection. Episode 16, How Your Mother Met Me, is by far the standout of the season. It’s here we learn of all the occasions where Tracy and Ted were in the same place at the same time … the St Patrick’s Day party, Tracy and Cindy’s apartment, the Economics 305 class – finally, a validation and altering perspective on the perfect pairing. Of course, that moment doesn’t last long before everyone’s attention is diverted back to Ted and Robin. In all honesty, the series really should’ve been called How I Met Your Step-Mother. Wow, another slap in the face. The end scene shows Ted, a six-year widower, blue French horn in hand, on the sidewalk of Robin’s apartment. Robin, peering down at Ted from her window, appears to be crying from happiness. Wow, the ultimate slap in the face. Lastly and probably the most significant realisation about the series is that a show centring friends turns sour in a sense – Robin, the newest addition to the gang, barely sees Ted, Marshall, Lily or ex-husband Barney anymore due to her international work commitments. Now, I’m not naive enough to believe that friendships last a lifetime, but for a fictional show that’s supposed to be all about making memories and being together, the writers could’ve at least let fans hold onto that. It’s safe to say their communal promise to always be there for the ‘big moments’ stumbles at the last hurdle. What I do kind of like, however, is the meaningful message behind Barney entering fatherhood as a result of a one-night stand. He admits that if he couldn’t make a relationship work with Robin, he won’t be able to make it work with anyone. He meets his true love, his daughter, and the character played by Neil Patrick Harris is outstanding. One so-so positive out of about 56 negatives, yep – I’m still thinking about the hit television series ending and yep – I’m still not happy with it.